Mr. Ghanbari has more than three decades of experience in the fields of geotechnical engineering, instrumentation, materials testing and inspection and construction support services. His responsibilities consist of project planning and management, complete geotechnical investigations and analyses, development of recommendations, report preparation, consultation during construction, coordination of construction monitoring, and data analysis. 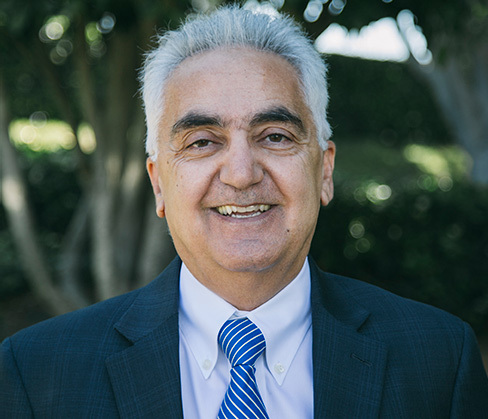 Mr. Ghanbari has extensive experience in managing complex field programs and has been responsible for geotechnical instrumentation for major rail projects in Southern California. He has completed many projects for Metropolitan Transportation Authority (MTA), Caltrans Districts 7, 8, and 12, Riverside County Transportation Commission (RCTC), Orange County Transportation Authority (OCTA), San Bernardino County Transportation Authority (SBCTA) and San Diego Association of Governments (SANDAG). He has managed many projects requiring coordination with construction managers, designers, contractors and owners. As a Principal of Group Delta, Mr. Ghanbari is committed to providing full support for Group Delta staff to achieve successful completion of projects.